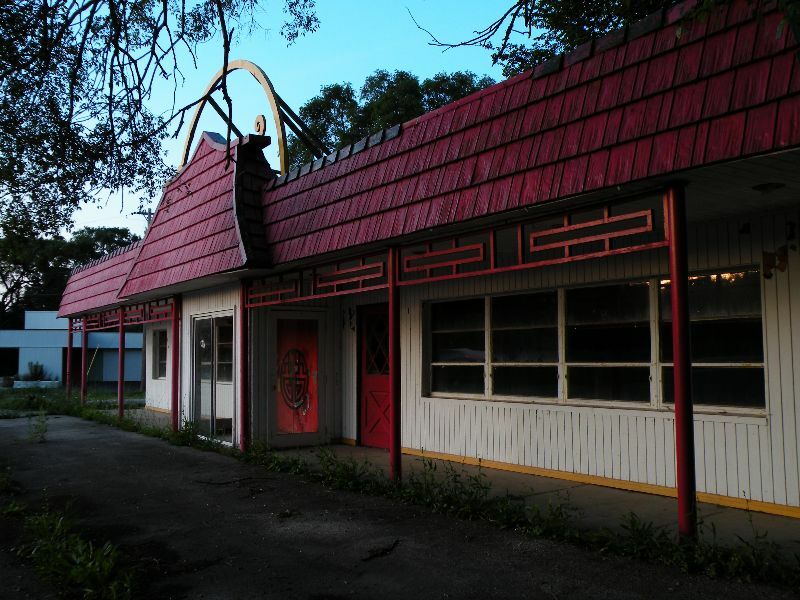 Abandoned restaurant next door to Beach Park Animal Hospital. Mucho water damage. Lots of goodies inside. Boarded up in the summer of 2010. Demolished in 2014. Barely touched by vandals or scavengers, most everything inside is still intact, from old beer clocks to kitchen equipment. Going from the Visa and Master Charge stickers, it was built sometime before 1980. Building condemned in 2007, but was probably closed well beforehand. Locals know it best as Ling-Ling's. This location's validation is current. It was last validated by Steed on 2/22/2016 2:57 AM. This page was generated for you in 93 milliseconds. Since June 23, 2002, a total of 573993561 pages have been generated.